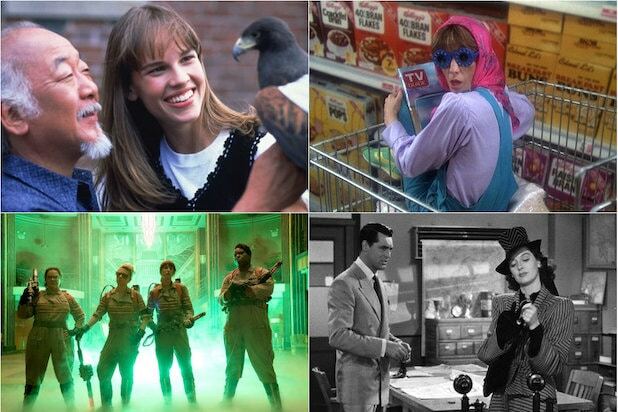 From lady "Ghostbusters" to talk of a female James Bond, Hollywood has taken a shine to remaking classic movies or TV shows with gender-swapped leads as a way of mixing up a tried and true formula. But the trend dates back farther than to just the last few years. The latest example of this is "What Men Want" opening Friday, which swaps out Mel Gibson for Taraji P. Henson. But here are some other movies that looked to remake something old with not just a fresh face but from an entirely different point of view. 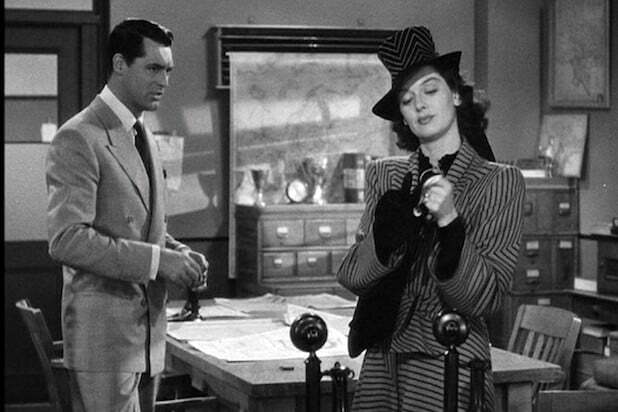 "His Girl Friday" (1940) Cary Grant and Rosalind Russell move a mile a minute and have a natural chemistry as reporters Walter Burns and Hildy Johnson in Howard Hawks's screwball comedy classic "His Girl Friday." But missing from its source material, both the play and the movie "The Front Page" by playwright Ben Hecht, is the wonderful romantic back and forth between the two because Hildy was originally played by a man. 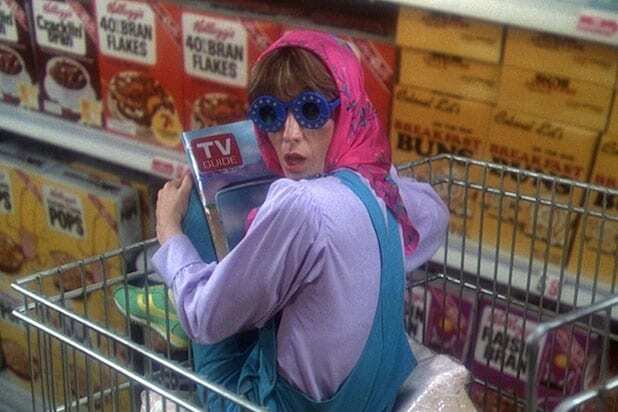 "The Incredible Shrinking Woman" (1981) The '50s B-movie "The Incredible Shrinking Man" is already a little campy, but for the reboot, Lily Tomlin took over the lead role and made the sci-fi fantasy a full-on parody. "The Next Karate Kid" (1994) After three movies featuring Ralph Macchio, Mr. Miyagi took on a new pupil played by Hilary Swank for the 1994 reboot. However, "The Karate Kid" would gender swap back to a boy for the 2010 remake with Jaden Smith. "American Psycho II: All American Girl" (2002) With Christian Bale definitely not coming back for a sequel, this slapdash sequel to the Bret Easton Ellis cult classic pegged Mila Kunis as an "angrier, deadlier and sexier" killer than even Patrick Bateman. The movie opens with a flashback of Kunis as a little girl being Bateman's one victim who got away and now takes up the serial killer mantle. "Herbie Fully Loaded" (2005) When Disney dusted off "The Love Bug" and found the magical Herbie a new owner, they looked to one of the biggest young stars of the day, Lindsay Lohan. The movie was ridiculous, but Lohan proved to be a regular Danica Patrick. "Last Holiday" (2006) Though it's hardly a resemblance after a gap of 56 years between them, the Queen Latifah comedy is actually a remake of a British classic from 1950 starring Alec Guinness. "The Tempest" (2010) If anyone was going to gender swap Shakespeare, it would be Helen Mirren. She starred as Prospero in Julie Taymor's sumptuous adaptation of "The Tempest." "Ghostbusters" (2016) "Ghostbusters" is such a beloved fan favorite that this admirable remake starring the hilarious quartet of Kirsten Wiig, Melissa McCarthy, Kate McKinnon and Leslie Jones received a lot of unfortunate blowback from dudes who didn't want to see women get the chance to be this funny. Sony has since announced plans to make yet another sequel of "Ghostbusters," this time going back to male characters, a move that came as an insult to the former film's stars. "Overboard" (2018) Even Jennifer Lopez couldn't get a remake of Goldie Hawn's "Overboard" to float. But by swapping the gender roles, Anna Faris and Eugenio Derbez, with Derbez in Hawn's role and Faris taking the part of the overworked Kurt Russell, they made it work. But the "Overboard" remake is also intended to break racial barriers as well as gender barriers. "This time the Mexican is going to be the millionaire and she's going to be cleaning the floors," Derbez told TheWrap. "Ocean's 8" (2018) Move over Rat Pack. The semi-sequel to "Ocean's Eleven" stars Sandra Bullock as the sister of George Clooney's Danny Ocean. She organizes her own team of thieves, including Cate Blanchett, Helena Bonham Carter, Mindy Kaling, Sarah Paulson, Rihanna and Awkwafina to swipe a massive diamond necklace off a vain starlet played by Anne Hathaway during The Met Gala. "What Men Want" (2019) Taraji P. Henson stars in this updated remake of the Nancy Meyers rom-com "What Women Want" starring Mel Gibson. That 2000 film was about a sexist man who uses his power to hear women's thoughts to eventually improve how he treats women, while Henson's character uses her ability to hear men's thoughts in order to navigate a male-dominated world as a sports agent. "After the Wedding" (2019) "After the Wedding" is a case of gender-flipping a director and a star. Bart Freundlich remade Susanne Bier's 2006 foreign film starring Mads Mikkelsen about an orphanage owner who travels to Denmark and discovers a life-altering family secret. But when Freundlich's wife, Julianne Moore, expressed an interest in playing the part of the rich man originally played by Rolf Lassgard, this family triangle story gained a whole new perspective. The new "After the Wedding" made its premiere at this year's Sundance Film Festival. "The Hustle" (2019) The upcoming film "The Hustle" isn't a remake of the Paul Newman, pool shark movie "The Hustler" (although that sounds like a solid candidate for a gender-swapped remake, too), but of "Dirty Rotten Scoundrels," with Anne Hathaway and Rebel Wilson taking over the con job from Steve Martin and Michael Caine. And that movie is actually a comedic update of a 1964 Marlon Brando and David Niven con movie "Bedtime Story."